We like to think Henfryn offers our guest as chance to escape the business of everyday life, relax and get back to nature. 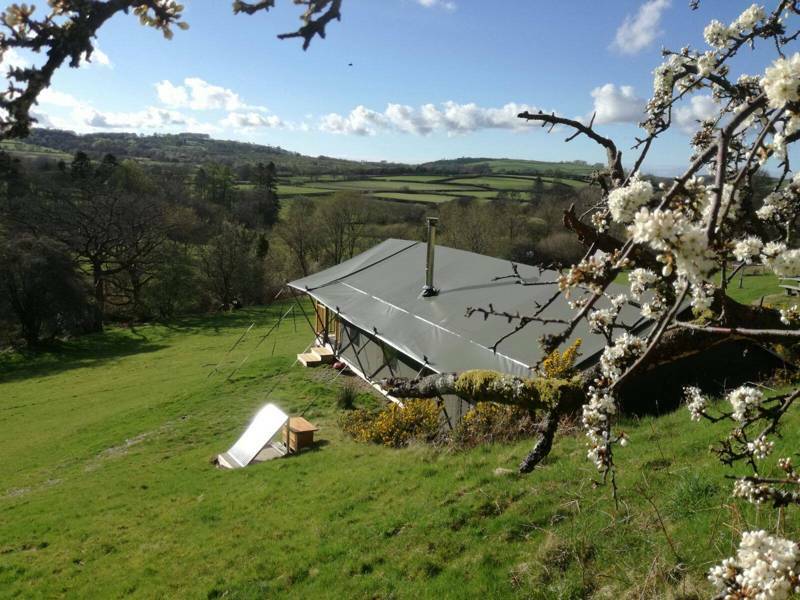 Our site is embedded in in our 50 acre organic farm on the banks of the river Teifi. 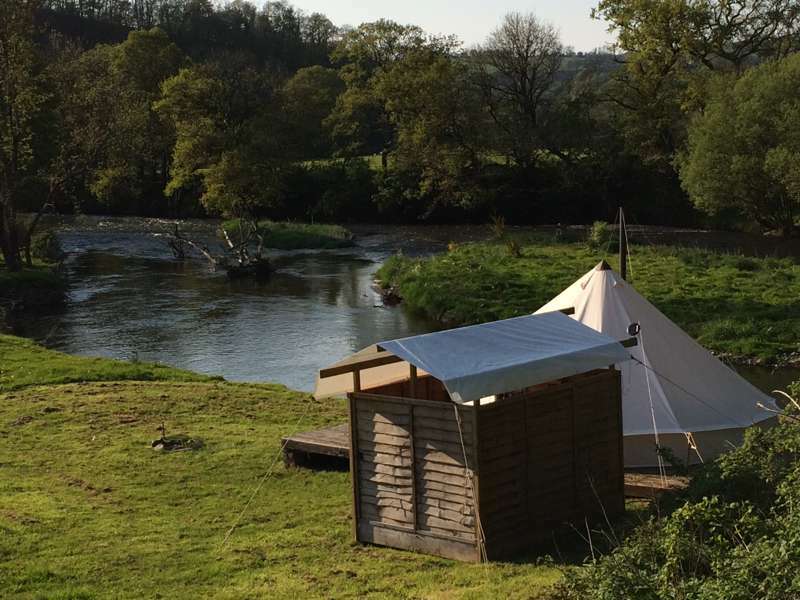 We have just 3 Bell Tents, a Safari Tent, a Shepherd’s Hut Complete with a new woodfired hot tub) and 2 camping pitches nestled in the flower filled hay meadows, all set to the soothing soundtrack of the river. Henfryn is more than just a place to stay, it’s a chance to become part of our ecosystem! As our guest, you can collect fresh eggs for breakfast, sample our succulent home reared Hereford beef for dinner and later enjoy a glass of our authentic cider as you sit back and take in the peace and tranquillity of the place. 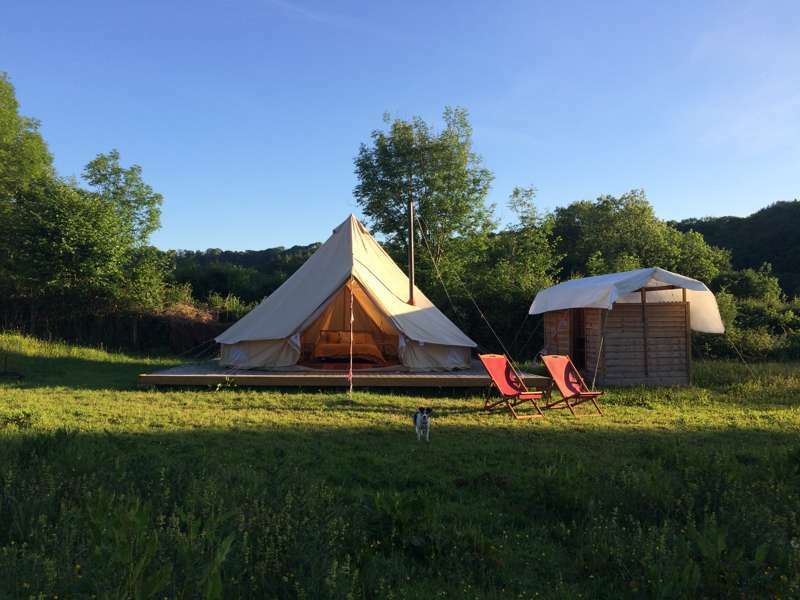 We can offer a guided tour of the farm or show you how the cider is made, and after that, you can try your hand at kayaking on the river, or just paddle, or head off to the beach or even roll the roof back on our classic Citroen 2cv and explore the secrets of the West Wales Countryside. 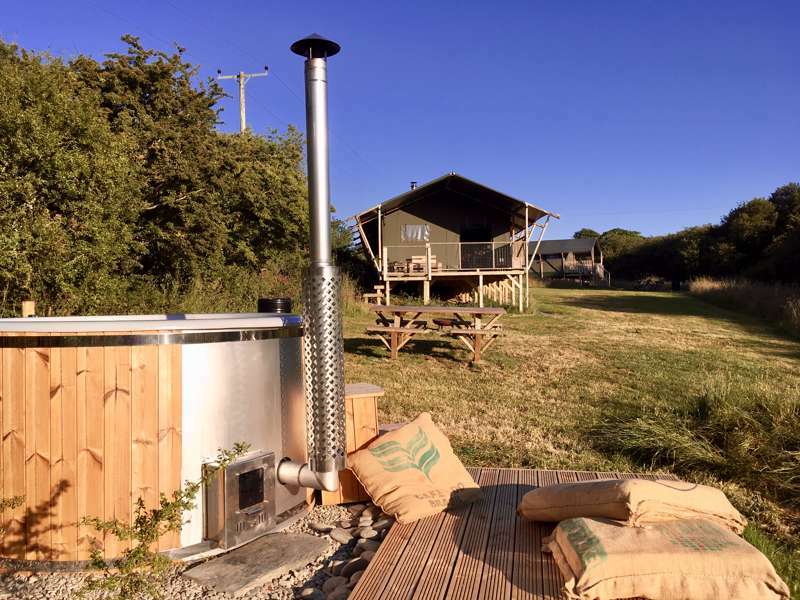 A truly warm farmhouse welcome awaits you at Henfryn Farm. 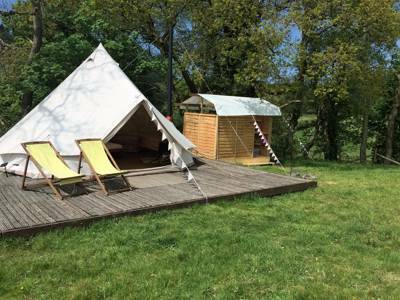 For latest availability and best prices for Henfryn Farm, please use the Date Search above. No cars are allowed next to the tents and they are situated down a steep track from the parking area, but wheelbarrows are provided for carrying your things. 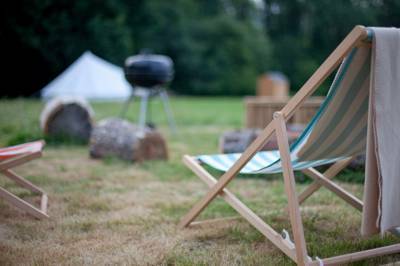 Each bell/ safari tent has a cool box, crockery, cutlery, pans, private outdoor kitchen shelter, fire pit/ BBQ and a wood burning stove. 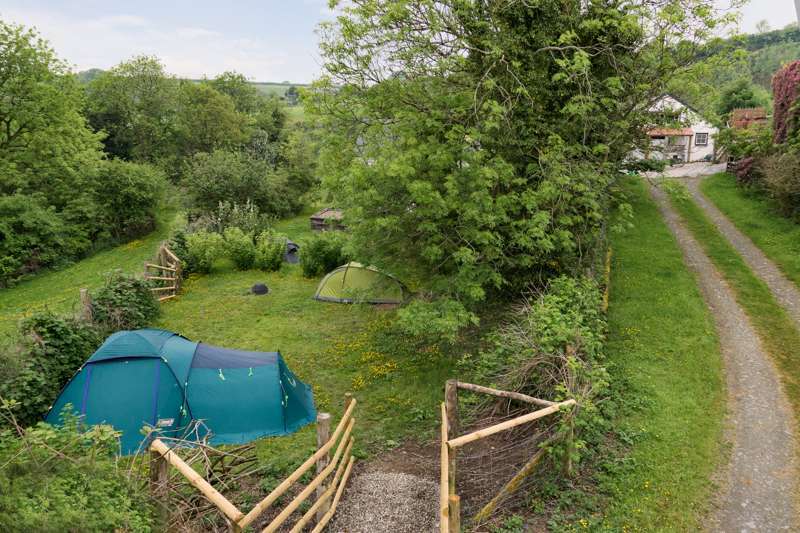 There are 2 shared compost loos, showers and washing up points near the tents. In the communal barn in the yard there is a fridge, freezer, kettle, microwave, washing machine and space to charge mobile phones. 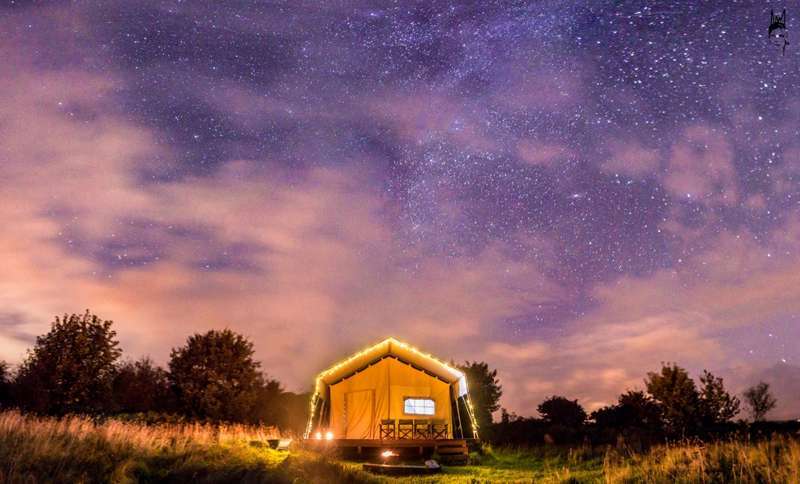 Bedding and bath towels are provided in the Bell Tents, Safari Tent and Commander's Caravan. 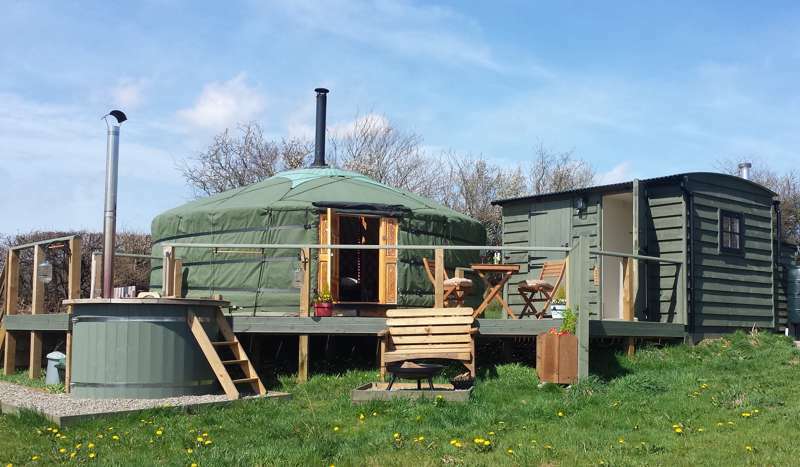 There is an initial bag of logs provided with each Glamping booking, more can be purchased. Paddle in the river, walk the farm, collect eggs, see otters (maybe!) and meet the pair of very friendly farm dogs. 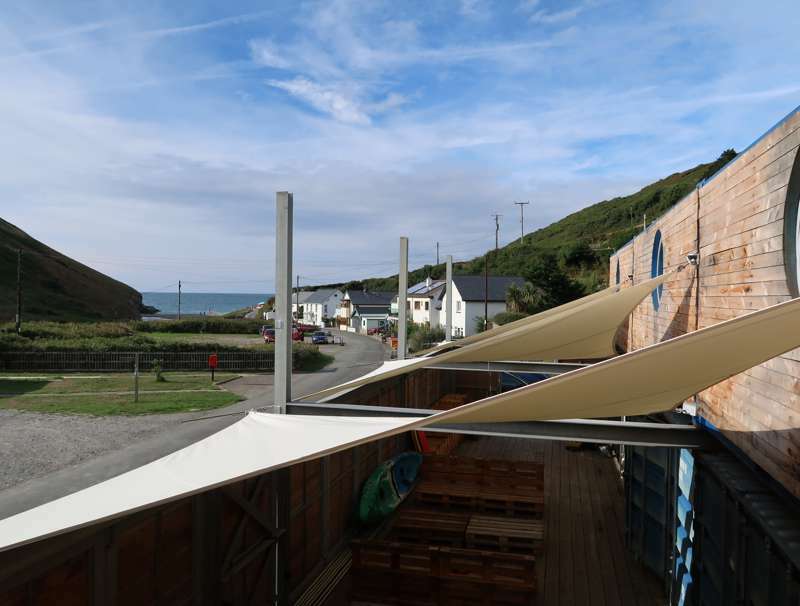 When you’ve had enough of the farm’s peace and tranquillity or just need remind yourself that there is more to West Wales than Henfryn ( we tend to forget this ourselves sometimes) there is plenty to do nearby. The Ceredigion coast is a short drive away with lots of stunning beaches as well as the coastal path. Mountain biking, horse riding, walking and boat trips can all be arranged a short distance from the farm. There are plenty of canoe, kayak or sailing options near by too. 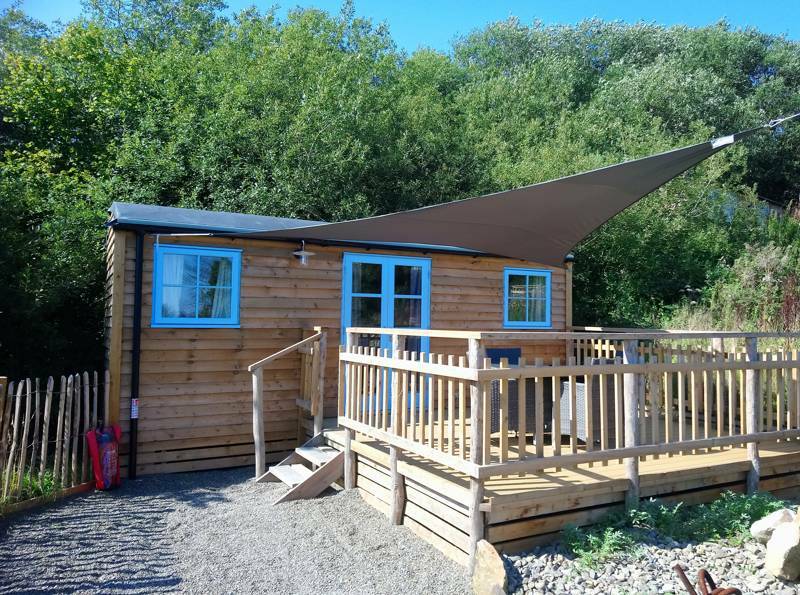 Out and about there are the market towns of Newcastle Emlyn, Llandysul, Lampeter and Cardigan as well as attractions such as the National Botanic Gardens of Wales, the Woollen Museum, Cilgerran Wildlife Centre and the Gwili Steam Railway to name a few. 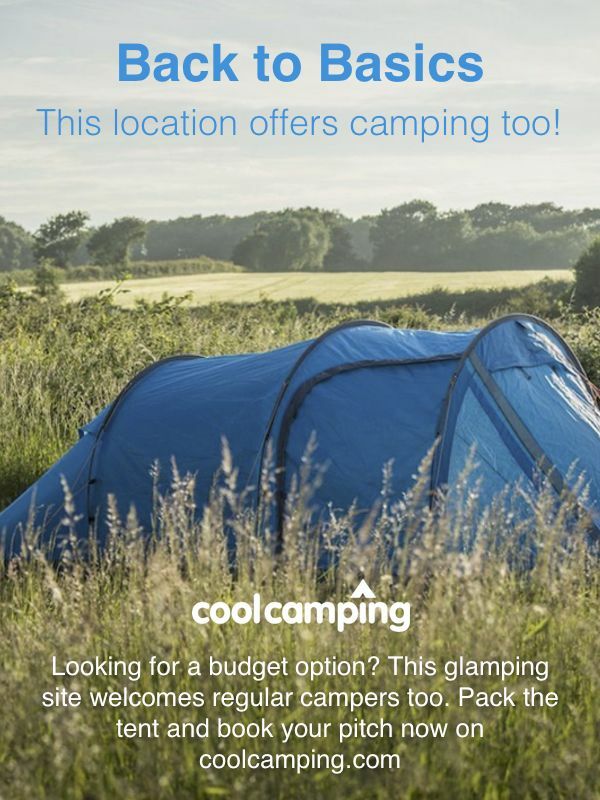 Locally-produced sausages and bacon, eggs from the farm, steaks and mince and sometimes burgers from the farm's own cattle are all available on site. And the best bit? The farm's own home-made cider available! Its around a 10-minute drive to the particularly recommended Daffodil (01559 370343) in Penrwillan and The Belle (01570 480495) at Llanlwnii, both of which are well worth the drive, also the Nags Head in Abercych does lovely food. 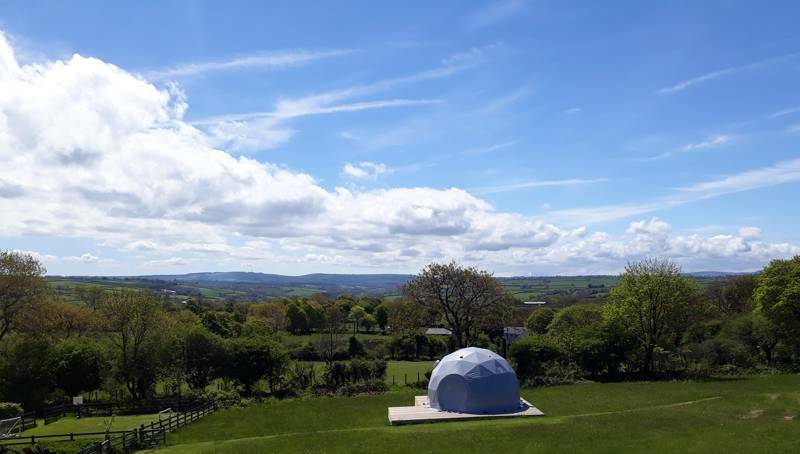 If you are a pizza fan we recommend a trip to Pizza Tipi in Cardigan. There is a small shop in the village and a CK's supermarket 5 minutes’ drive away for gathering some camp-cooking goods. The postcode SA44 5BB brings you right down the campsite lane but then stops at their neighbours, keep driving and you will come into the yard. When coming from the West you will come into Pentrecwrt on the A486, as you drop down into the village you take the first left on the B4335. You will come past the Black Horse pub on your right and then a little further, the Plas Parka Pub. Turn 2nd left just after the pub, this is a single track lane tucked in between a hedge and a white house, not the bigger road which is 1st after the pub. If coming from other directions you will likely join the A486 at Llandysul, follow the signs to Pentrecwrt and take the first right onto the B4335 and follow the directions as above. The nearest trains are at Carmarthen station and from there a taxi to the farm takes about 30mins. Limited bus transport. 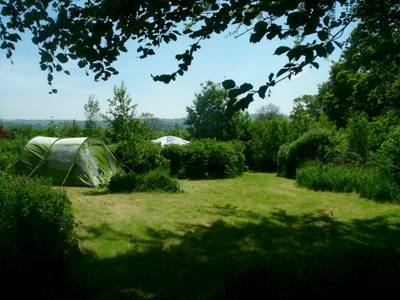 2 grass camping pitches, 3 bell tents (sleeping up to 4), 1 double bell tent (sleeping up to 6) and 1 shepherd's hut.